Preparing NEET PG Anatomy is a notoriously difficult and daunting task. The depth and level of knowledge you will be expected to master can be enormous. You will be tested on more than just factual recall. As a good doctor, you also require intelligence and knowledge, integrity, resolve, technical proficiency, calmness under pressure and many other intangible qualities. 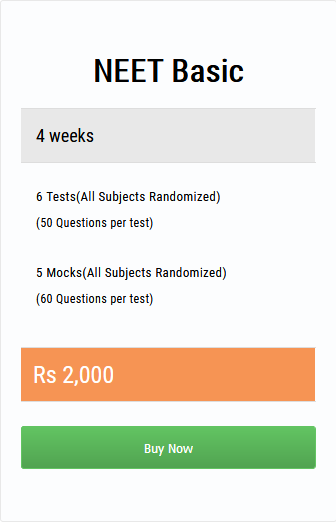 Medical colleges attempt to test all of these in the NEET PG entrance exam they set for admission to post-graduation, in order to ensure that the doctors that they produce will be able to deal with the constant challenges and stresses that medicine presents. The NEET PG entrance exam has recently been re-structured and the exam format altered is altered. This means that there are a lot of things you’ll need to consider to make sure you clear the NEET PG 2018 exam with good percentage. With some careful research into the options available to you, prioritizing is an important aspect of the NEET PG Entrance exam study. Do not underestimate the amount of time that will be needed to prepare. Medical exams take months, not weeks, to prepare for properly. Most of these exams will require 6 months of tapered revision and some even longer. Therefore you need to start early. Anatomy is one of the most popular subjects as it deals with the health and safety of embalming procedures and handling bodies, the legal and historical aspects of anatomy, and an introduction to the ethics of using bodies in medical education and explores clinical techniques used to image the body. Anatomy Law and Ethics: Divided into 3 parts: Health & Safety of anatomy and body handling, the legislation that governs the activities of anatomy. Neuroanatomy: Gross Anatomy of the central and peripheral nervous systems, sensory and motor pathways, cranial nerves, spinal cord, spinal nerves and autonomic nervous system. Embryology: From ovulation of the egg to fetal development of all body systems. Medical Imaging and Anatomy: explore anatomy using images produced by clinical tools such as X-ray, CT, and MRI. Basic Human Anatomy – Trunk and Head and Neck. It’s never beneficial to refer to too many neet pg books for the examination as they may just serve to confuse you. It is advised to stick to a few good regular books as NEET PG entrance exam is tough exams in terms of the level of difficulty and the questions are hardly repeated. The syllabus should be the centerpiece of your NEET PG Anatomy exam preparation. Knowing and understanding your exam syllabus can save you countless wasted hours reading irrelevant topics that won’t come up in the exam.